My apologies, it has been too long since the last "monthly" newsletter, due to a mixture of reasons, primarily including poor health, and work overload. This new 10W HF Linear PA kit has high performance yet low cost ($26 including large heatsink), see http://qrp-labs.com/linear for details. The heatsink is custom-made and very generously sized, so that the Linear is suitable for high duty-cycle digital modes such as FT8 as well as for normal SSB operations. The amplifier uses a pair of BS170 MOSFETs as driver stage and a pair of IRF510 MOSFETs as finals. Though the IRF510 sometimes gets bad press, this amplifier shows that if treated properly, it is capable of excellent performance. capable of 10W output across HF, with around 25-50mW input. This kit will be the PA module of the forthcoming QSX transceiver (coming soon, see below). It is also suitable as a module for use in your own projects; note that you would typically need to provide adequate drive arrangements, Tx/Rx switching, and output low pass filtering. In the last newsletter we announced the availability of the smart QCX enclosure designed and produced by Markus DL6YYM. To date, BaMaTech have produced 1,050 of these enclosures for us, but the manufacturing capacity is still slightly lagging behind demand. So if your order contains one of these please be patient. The next shipment is due in about 10-14 days, and then we have another batch coming in December. The enclosure kit includes all mounting hardware, rubber feet, extenders for the rotary encoder, gain control and buttons. The panel is drilled, cut and printed for the QCX CW transceiver kit http://qrp-labs.com/qcx . The enclosure is designed to fit a QCX transceiver that has been built exactly as per the assembly manual (all controls and connectors mounted onboard etc.). The enclosure kit costs $37 see http://qrp-labs.com/qcxcase for further details. Thanks to the popularity of QRP Labs' kits, we spend a scary amount of money on shipping, sometimes literally burying our small local post office under a mountain of QRP Labs packages, destined for radio hams in the four corners of the world (or however many corners an almost-spherical object rhetorically has). After a while the post office regional management offered us the opportunity to issue our own official, customized, Republic of Turkey postage stamps! Three designs were produced in denominations 0.70, 25 and 31.55 Turkish Lira. Two stamp designs feature pictures of the QRP Labs junior lab technicians (operating QCX, and working on new QSX kit development, see below), and one features the QCX CW transceiver. The stamps are limited edition issues. They're all used up now and we're preparing a new stamp design, coming soon! It certainly isn't every day your lab techs get to have their very own limited edition official postage stamp so we were very proud of this accomplishment. 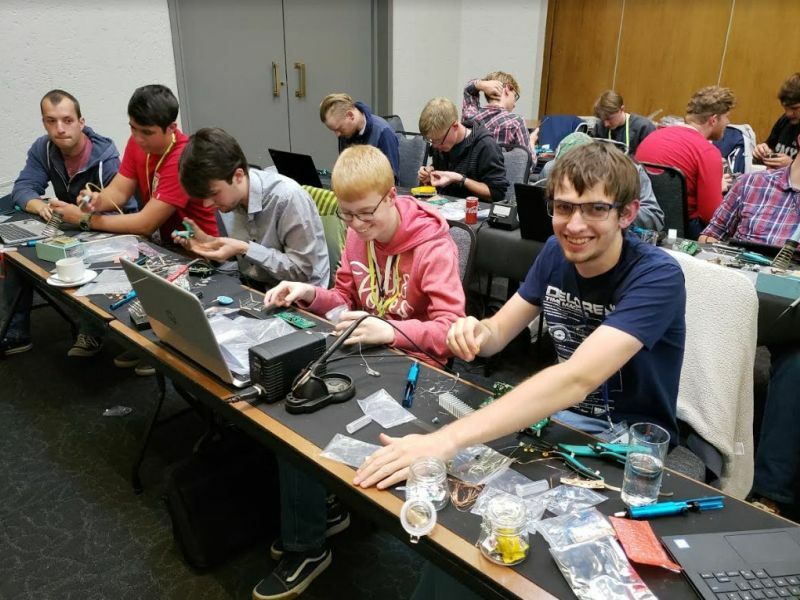 In 2017 QRP Labs designed the QCX CW Transceiver kit initially for the Youngsters On The Air (YOTA) summercamp hosted in UK by RSGB in August 2017. The kit went on general sale soon after and has gone on to become probably the most popular monoband CW transceiver kit ever, selling to date almost 6,000 kits. 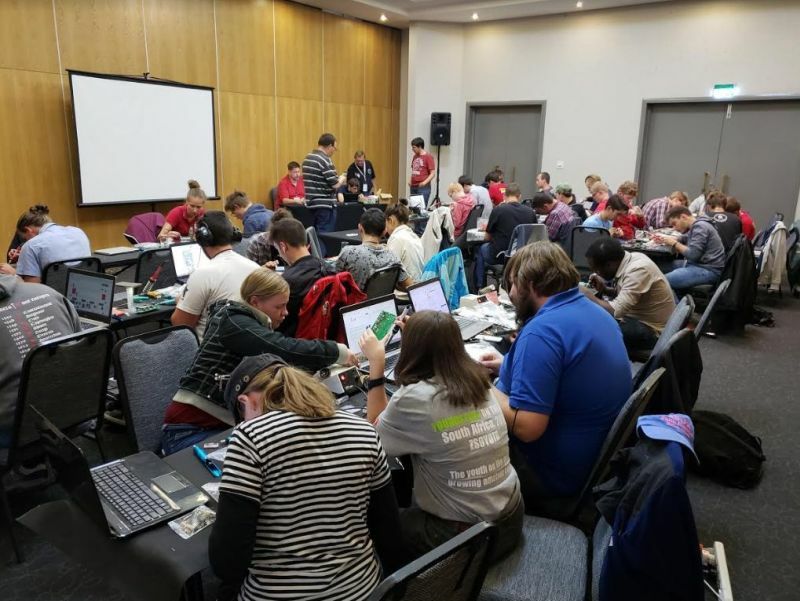 In 2018 we were proud to once again be selected to design a kit for the Youngsters On The Air "summercamp", this time hosted by the South African Amateur Radio league (SARL) in Johannesburg South Africa in August 2018. The kit is described further in the next section of this newsletter. The event was open to Youngsters in IARU Region 1 which includes Europe, Middle East and Africa. Though called a "summercamp", since South Africa is in the Southern hemisphere, technically it was WINTER there during the event! 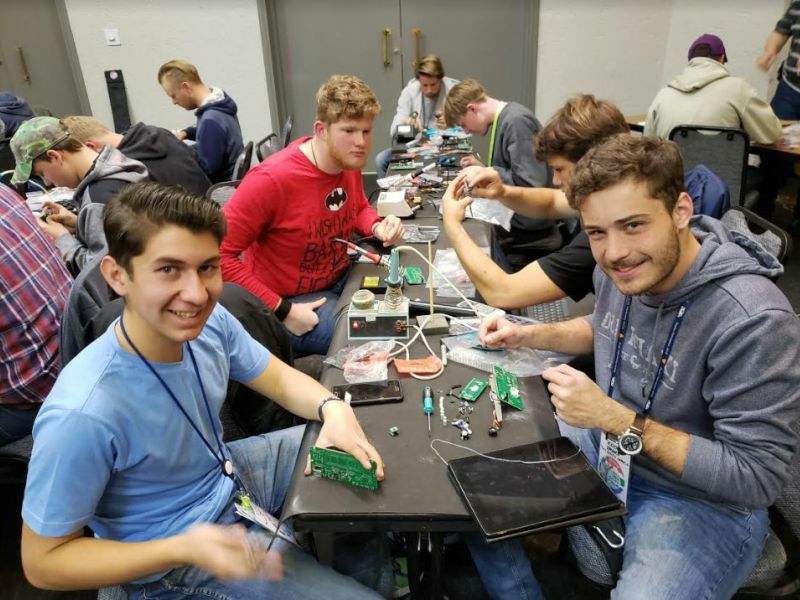 This time, QRP Labs Hans G0UPL went to South Africa to help with the buildathon. The kit hardware arrived in South Africa in plenty of time and uneventfully. The kit firmware wasn't actually finished in time, so nobody went home with a working on-air kit - but that didn't seem to diminish anyone's enthusiasm! Final firmware will be distributed later and is easy to install by plugging a USB memory stick in the back of the radio. Everyone in SARL was extremely friendly and welcoming, and the energy of the youngsters was really overwhelming and inspiring. The kit designed for YOTA 2018 (see above) will soon be available to all QRP Labs customers, past present and future at a truly unbelievable price. 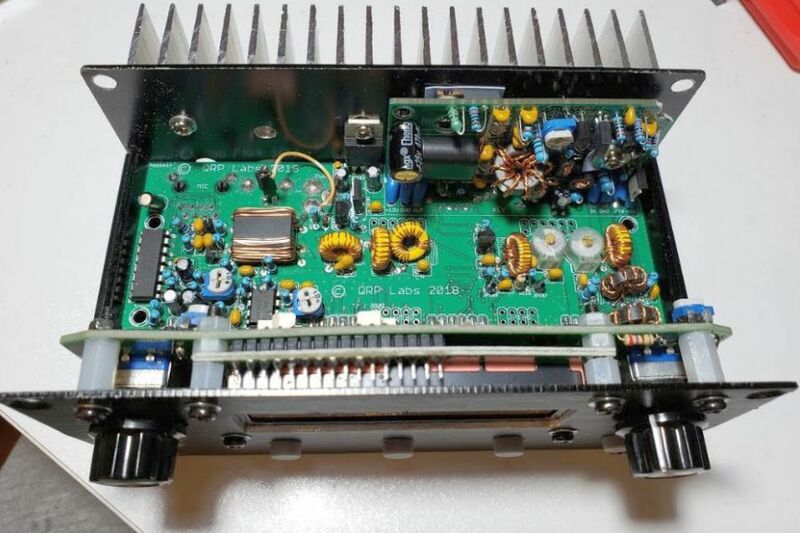 This is a high-performance, SDR-based transceiver will initially be available for 40m band (can be built for any single HF band) with a later optional plug-in 10-band filter module to cover all HF. The 10W PA module is a new kit in its own right as described above. Digital Signal Processing (DSP) combined with high performance 24-bit Analogue to Digital Converter and 24-bit Digital to Analogue Converter will deliver top-shelf performance. The powerful 32-bit ARM processor will implement a host of functions many of which are not seen in radios 10 times the price. The QSX has too many planned features to discuss here at this stage, so please see http://qrp-labs.com/qsx for all features and updates. We had hoped the new kit would be ready by now but, due to a mixture of health issues, and too many other pressing priorities, it has not been possible to spend as much time on finishing QSX as had been anticipated. Please keep an eye on http://qrp-labs.com/qsx for updates. 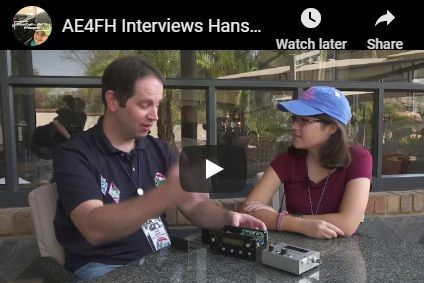 Hans G0UPL was interviewed about the QSX by Faith Hannah AE4FH on the last day of the YOTA summercamp. CLICK HERE or click the image below, to go to YouTube to watch the video (opens in a separate tab). Version T1.00f of the firmware for the QCX CW transceiver kit was released on 01-Aug-2018. This firmware release is quite minor. The main motivation for it was that we had some reports of chips being delivered which were incorrectly programmed. Therefore the new release incorporates some self-test procedures, on succession completion of these, the chip toggles one of the LCD pins, which on our programmer here causes an audible beep. When we hear this beep, we know that the chip has been programmed successfully. It prevents defective or incorrectly programmed chips getting out into the wild. The new diagnostic features are also useful if your kit doesn't work first time. As usual the firmware upgrade can be done by you, if you have a suitable AVR programmer or Arduino. There are tutorials for doing this in the QRP Labs discussion group files section. Alternatively you can purchase a programmed chip in the QRP Labs shop http://shop.qrp-labs.com/firmware/qcxchip but if your kit is already on T1.00e don't rush - the upgrade features are very minor! Version c1.02 of the firmware for the popular GPS-disciplined Clock kit was released on 04-Oct-2018 with a subsequent minor bug fix version c1.02a on 08-Oct-2018. This firmware release has quite a long list of changes in it, enhancements which were requested over the last couple of years - it has been more than 3 years since the clock firmware was updated. The highlights are a set of 10 alarm settings, each with configurable ON and OFF times; the alarms can also control up to six relays. 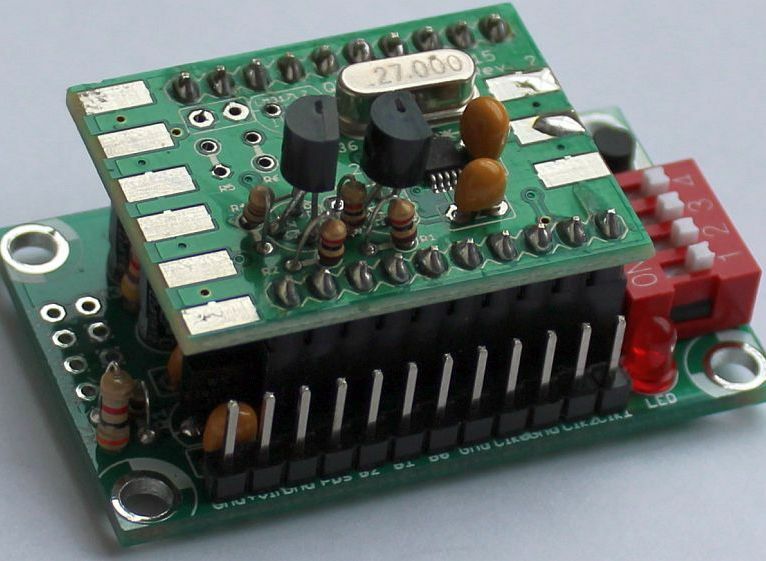 The relays can be your own external relays, or you could use the 6-band relay board which has a compatible connector and form-factor to the clock. The alarms can act on Local time or UT time, and there is a nice alarm bell icon that you can display on the screen. Other major changes include the Local Date feature (currently this may not work perfectly, it seems), and several new GPS tags, new ways of displaying existing GPS information. As usual the firmware upgrade can be done by you, if you have a suitable AVR programmer or Arduino. There are tutorials for doing this in the QRP Labs discussion group files section. 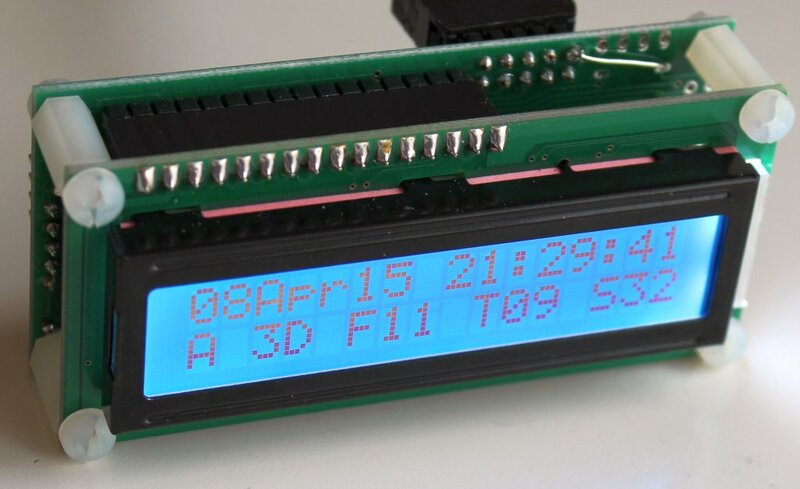 Alternatively you can purchase a programmed chip in the QRP Labs shop http://shop.qrp-labs.com/firmware/clockchip if you need any of these new features. Version pr1.02 of the firmware for the ProgRock kit was released on 10-Oct-2018. The ProgRock kit is a simple controller for the Si5351A Synth kit which stores frequency configurations in the microcontroller's EEPROM. It also allows GPS discipline by a GPS such as the QRP Labs QLG1 GPS Receiver module kit. This firmware version contains only one change, which is to allow quadrature mode operation of the Clk1 output. In this mode, the Clk1 output may be synchronized to the Clk0 output (same frequency) with an accurate defined configurable phase shift of 0 (in-phase), 90-degree quadrature, 180 (out of phase) or 270-degree quadrature. This uses the code uniquely developed by QRP Labs to configure the Si5351A Synthesizer chip for click-free, accurate quadrature operation. The method was described in the 2018 FDIM Conference proceedings article which accompanied Hans G0UPL's conference presentation at Dayton OH, US in May 2018. You can download a PDF of the whole article here: http://qrp-labs.com/dayton2018.html. Quadrature mode operation is very useful if you wish to drive a Quadrature Sampling Detector (a.k.a. "Tayloe Detector"). Traditionally it was necessary to use a divide-by-4 circuit using typically a 74AC74 logic chip. Use of the Si5351A quadrature mode results in a more accurate phase shift (leading to improved unwanted sideband cancellation), and reduces cost and complexity by eliminating one IC. As usual the firmware upgrade can be done by you, if you have a suitable AVR programmer or Arduino. There are tutorials for doing this in the QRP Labs discussion group files section. Alternatively you can purchase a programmed chip in the QRP Labs shop http://shop.qrp-labs.com/firmware/progrockchip if you need this Quadrature mode feature. We now have some limited assembly capability to offer ready-built, tested and aligned versions of some QRP Labs kits at a small additional fee, when time permits. For this purpose there is now a new section of the shop for assembled kits see http://shop.qrp-labs.com/assembled. Already we have assembled six QCX kits and a number of QLG1 units. If you have any particular request then please Contact Us and it may be possible to assist you. At time of writing, we are about to ship the 6,000'th QCX kit in the next few days. The QCX 5W CW transceiver kit has been on sale only since 21-Aug-2017 so this is a huge volume in just over a year. Some kind of record, probably? For over a year, this has been our most popular kit, and the appetite for it hasn't reduced! Many constructors love it so much they build another. The kit is available in 80, 60, 40, 30, 20 and 17m versions. It should theoretically also operate on 15, 12 and 10m if suitable Low Pass Filter components are used, though the power output will probably be less. Congratulations to K7AWA, the America West Amatuer Radio Club, who placed 5th in category in US Field Day 2018. 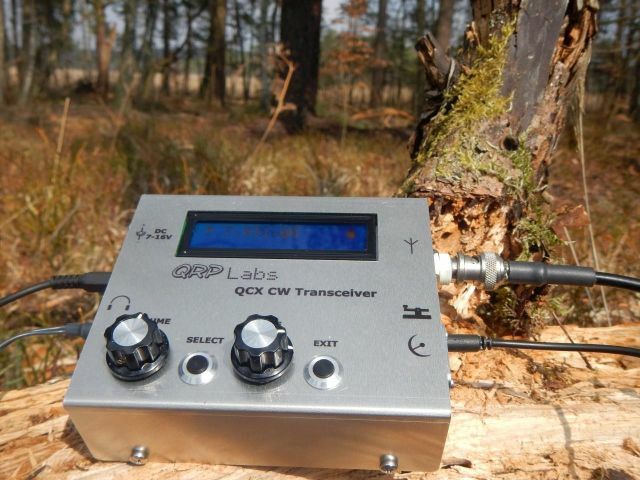 Their three-operator, two-transmitter Field Day operation used only QRP Labs QCX CW transceiver kits, all battery-powered. 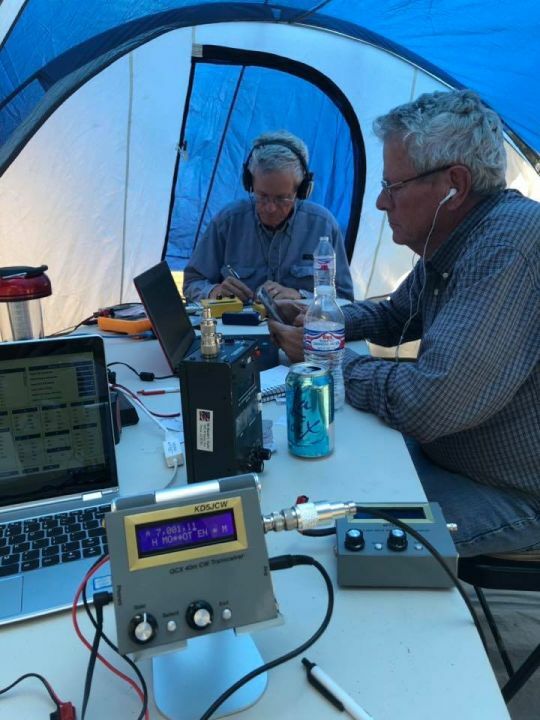 Below left: K7AWA operation in Field Day 2018. 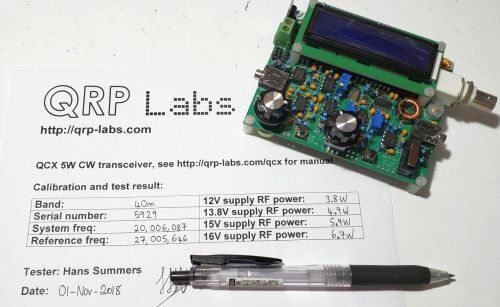 A little news of a mostly unknown QRP Labs module, designed and produced by QRP Labs for commercial data logging applications. This data logger unit is now installed in all irrigation pumps produced by http://futurepump.com whose primary markets are several African nations including Kenya and Rwanda. In these locations conventional diesel operated pumps are expensive, fuel is expensive, and lots of maintenance is required. The new solar panel powered irrigation pumps are efficient and economic. 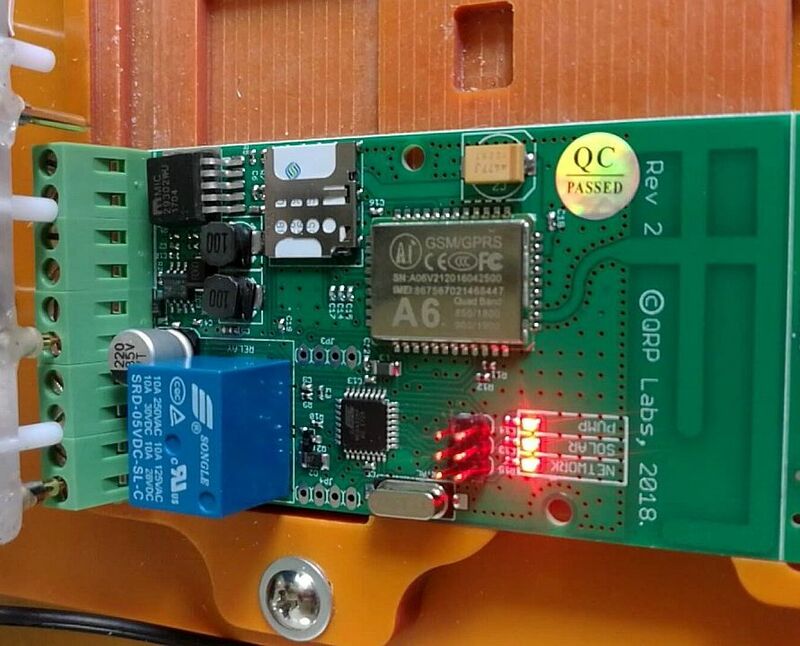 The QRP Labs data logger module measures solar panel voltage and current, and pump rotations per minute (RPM), which it logs and uploads to to the company's server via the GSM/GPRS network (cellular phone network) using international data-only SIM cards. In addition to the voltage, current and RPM, the module has a further four general purpose channels configurable for analogue, digital or pulse-counting. A relay on the board can switch power to external applications under remote control. This unit is not available for general sale, I'm just mentioning it here in case it is interesting to you, as one of the other activities underway here at QRP Labs HQ. 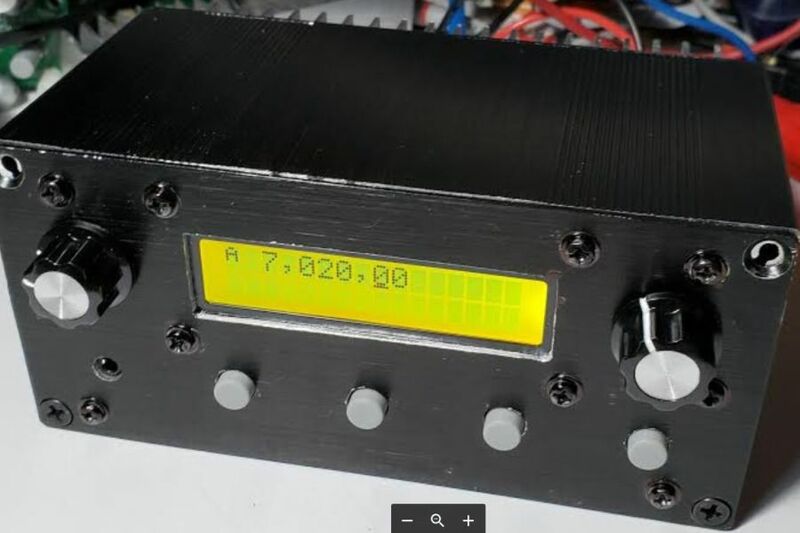 There hasn't been so much QRP Labs High Altitude Ballooning activity lately but the "U3B" project is not abandoned, just pending completion of the higher-priority QSX transceiver kit (see above). Dave VE3KCL launched QRP Labs U3B-23 test flight on 04-Sep-2018 and it flew for 18 days, last heard from mid-Pacific on its way home. It flew over 34,000km at an altitude of around 12,000m. Like several flights this year, the unusually disrupted jet stream that caused unusually hot or extreme weather conditions in many parts of the world, meant the the flight made several loops and a relatively slow trip.